and bring together leaders in the renewables sector. to bring projects to life and develop the renewable energy sector to it's full potential. Taking place in the stunning Heythrop Park, Enstone, Oxfordshire, this event is a senior level, invitation only, networking forum designed to stimulate deep discussion between participants who are actively investing, structuring and leading deals in the marketplace. IJGlobal’s annual flagship renewable energy conference brings together the region’s key players and most influential experts in renewable energy investment, project financing and technology deployment. For 20 years, senior leaders have attended REFFEurope to identify new deal opportunities, raise profile, stay updated on market trends and build business. Join us at REFFEurope to learn from the industry leaders and policy makers driving Europe’s renewable energy transformation. 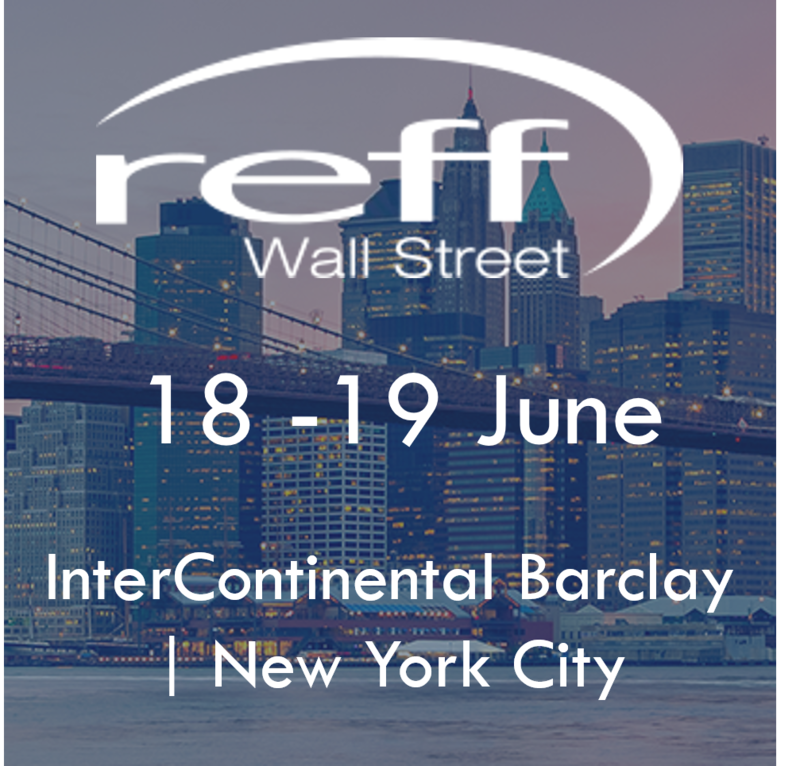 America’s premier renewable finance event, REFFWall Street 2019, will examine renewable energy and storage capital flows during the energy transition. Join the industry’s senior investors, executives and other top transactional professionals to align strategies in this next phase of market maturity.